Need a New Way to Spring Clean Your Home? Try Pressure Washing! As spring rolls around, everyone is looking for a way to give their home that extra shine. Between cleaning the interior and exterior of your house, the amount of work can be overwhelming. 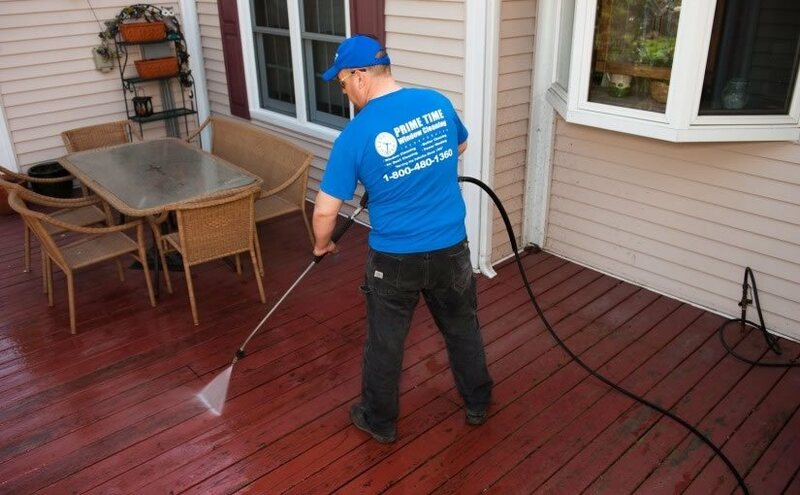 With pressure washing in Chicago, you’ve got a fast, easy option to clean your driveway, garage, deck, fence and your home itself. Most people are amazed at how great their home and the surrounding area looks after a good pressure wash. You probably can’t even see all the grit and grime that’s preventing your home from looking its best. But be careful when hiring a professional pressure washing service. Done right, pressure washing services makes your Chicago home look new. Done wrong, and you could end up with expensive damage to the exterior of your home. That’s because pressure washing homes is not as simple as it seems. The capabilities of a high-pressure hose are amazing. They blast away dirt in seconds that you would have labored over for hours. But that same power is dangerous, both for your home and your safety. Professionals know that the key to getting a home clean does not necessarily mean they’ve got to crank their machine up to full blast. They also know that every home is different. Various sidings can handle pressure, while others cannot. The right blend of chemical cleaning agents, along with the appropriate pressure setting ensures a deep clean without the potential for stripped paint or damaged windows. This is equally important for driveways and sidewalks. Not because you might damage your driveway, but because the right cleaning agents don’t just remove dirt and mildew. The right cleaning agents actually help maintain the clean appearance of your driveway or sidewalk by preventing mildew from coming back. Be sure to look for a pressure washing in Chicago that doesn’t just crank up the pressure, risking damage to the home. You’re better off cleaning at low pressure with the proper cleaning agents. 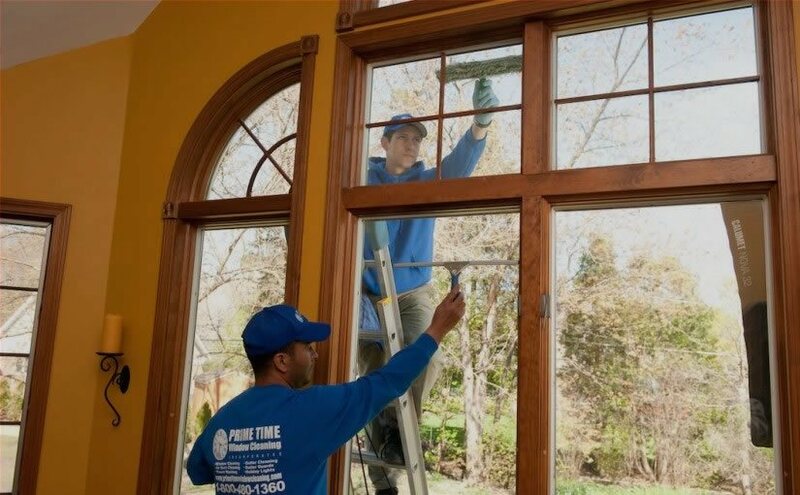 For the best pressure washing in Chicago, contact the professionals at Prime Time Window Cleaning. We’ve been pressure washing homes in Chicago and the surrounding areas for several years. And we offer a full suite of related services like gutter and window cleaning.